Another rapidly growing use of FRP in power plants is for cooling towers. 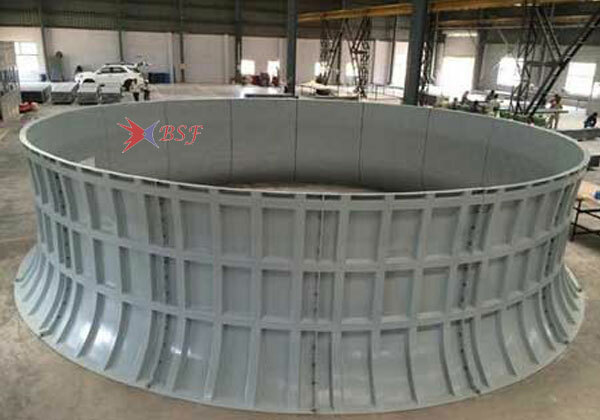 While wood has long been the predominant material used for these towers, FRP is now become the material of choice for cooling towers construction. The primary reason is that FRP structures are anticipated to last more than twice as long as wood structures (50 years plus versus 25 years for wood). FRP requires little or no maintenance over its lifespan while wood towers often require a considerable amount of maintenance. 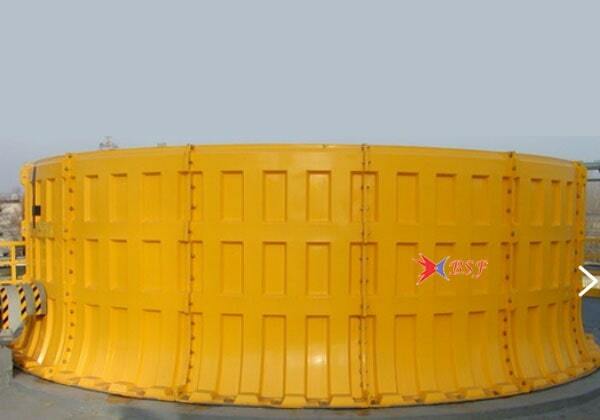 FRP is not subject to internal deterioration or biological attack, and it can withstand corrosive chemical exposure by choosing a suitable resin and fabrication technique. 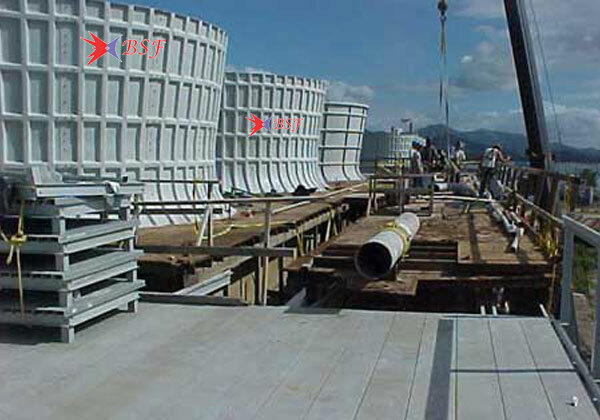 Because FRP structural members can be manufactured in lengths up to 18 meters long and beyond, labor costs are reduced compared to lumber that requires splicing in 6 meter lengths. Figure 11 shows two six cell FRP towers in a 700 MW power station in the Midwest. Mould closed, safe environment, safe for production workers, filling the whole plastic mould, precision sizing of final product. To create a glossy surface on both sides. The percentage of fiber products can be up to 60%. Homogeneous product, so very few bubbles make a more durable product, stronger, supplier. Production time will be faster.